I changed the plug, no difference. Any idea where I should check next? The good news is your trailer brakes work. what kind of plug are you using? When in reverse do the trailer's backup lights come on? If not, that's your problem. If so, then sounds like a problem with your reverse solenoid (either not getting power or has gone bad). Not all trailers have reverse lights. Do you think this could be related to the table cutout in the carpet saver? Does your trailer have electric brakes or surge brakes? "When in reverse do the trailer's backup lights come on?" What you should do next is give some additional information on the problem. yes, I am. Assuming that the trailer under an 08 will have reverse lights. Either way should be simple enough to test the circuit with a lightbulb circuit tester (i.e. make yer own temporary reverse light). Would make sense to me to test the tow vehicle trailer plug first, then the trailer side. I’m not sure. What ever boatmate put on a 2008. My boat has surge brakes on it and I had issues with the trailer locking up when I back up. I was told when your truck is in reverse this should override the surge braking. If it does not, you may need to replace a fuse on your vehicle that controls the reverse lights. Usually the override is synced with the reverse lights on your truck. Here is a picture of a newer surge brake. I think it is common for these to lock up on people when backing up. There is also a lockout on here that will prevent the trailer from locking up when backing up. On the left side of this tongue in the picture you can see a long oval slot with a bolt that looks like it can slide forward and back. This is where you can insert something to prevent the trailer brakes from activating. It is very common to have surge brakes on boat trailers since there is less electrical to get wet when your trailer goes in the water. I just had this exact issue. It was the fuse for reverse lights. It was 25A IIRC. If you have a multi-meter you can can check for DC voltage by putting black lead to ground and red lead to center pin (assuming you have 7 pin round on tow vehicle). You will need to start vehicle and either have someone put in reverse or engage park brake. My 2015 Boatmate doesn't have backup lights but when I put it in reverse, it does release the solenoid. It also doesn't hurt to get a small packet of dielectric grease and clean terminals as I had some flaky brake lights on our last trip. It doesn't seem to matter how much preventative maintenance I do. I always have some issue on trips but fortunately they are minor and my kids are learning new things while standing on an autoparts parking lot in 97 degree heat trying to get on vacation. I have a lot of hills in my yard and at the lake house, plus i like to use my kubota to move trailers around at home, so bought a few of these, keep one in each truck and in the kubota, solves the problem and doesnt fall out. Obviously not as convenient as having the solenoid work, but sometimes it isn't going to work no matter what. For me to back boats into our driveway at the lake, we have to stop facing downhill, then back-up uphill. The solenoid never worked in that situation. I replaced the mc dust cap with one of these for emergencies. It doesnt auto disengage like they say it does. Are you saying you inverted your trailer light connection? Aftet you are sure truck is providing 12 volts, fold tounge and see if there is a 5 pin connection inside. My 2012 has a 5 pin to 7 pin conversion harness from factory and my brake light issues have been fixed in the past by cleaning that connection. I've got the reverse lock-out cap on mine (but also have drums, so doesn't matter). Otherwise, an appropriately sized C-clamp is also an effective lock-out (sometimes requires a little grinding on the foot to fit the spot). Agree with a few other posters. Check the fuse for reverse lights on your tow vehicle. And keep one of those large C clamps with you. Had the same problem on my ‘08 last year which was an Extreme trailer and isolated it to the solenoid needing replaced. That was a quick and fairly cheap fix, but I used a lockout key like the eBay one above for a month before fixing it. I kept a magnet on the trailer tongue to hold the key in place when needed and that worked well since I wouldn’t always remember I couldn’t back up until at the ramp. So you are either not getting power to the bypass solenoid or your baypass solenoid is shot. I need to bring this back up please. After reading here it seems that many are saying that this problem could be an issue with the reverse lights. I just purchased a 2018 VLX and have the back up problem with this trailer. My truck is a 2018 Ford F250 which btw, pulled my 2012 MXZ without this issue. Both trailers have backup lights and both work. Is this a common problem with these trailers and why would the dealer not have address this prior to sending the boat out? I mean it only traveled 1100 miles. This is my first experience with this problem but it needs to go away. If the reverse lights work what should be my next step? Where is the bypass solenoid located? Thanks oldjeep. I was confused that the lights would not work if the bypass was the problem. 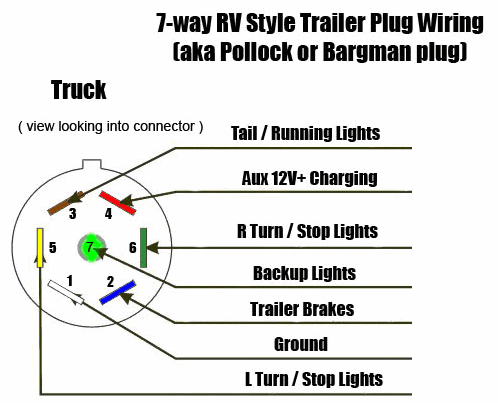 If the backup lights on the trailer work then its most likely the solenoid or its wiring. Why mess with it?, its under warranty. I'm sure the dealer would have had to backup the trailer at least 1 time before you took delivery so it could have just went bad on you. Or - if you backup on level ground slowly you wouldn't notice if the solenoid was working or not.